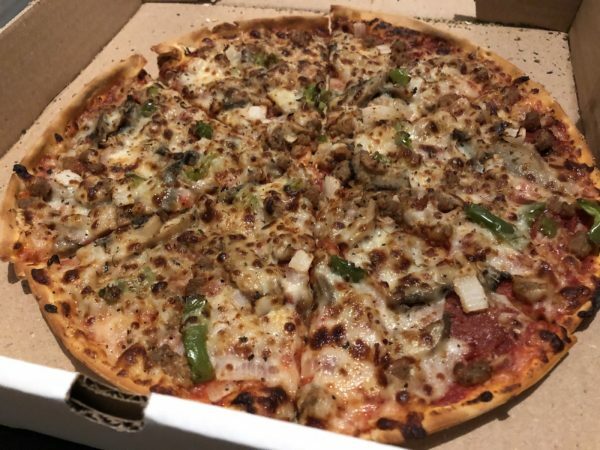 Pizza John’s Review: Our favorite pizza in Derby – Wichita By E.B. Family wanted pizza so this time, I left it up to my cousin as to what the next review was going to be. She was also in charge of choosing and ordering pizzas. Her choice and what is the topic of this review was Pizza John’s out in Derby, KS. Little did I know that Pizza John’s has long been a staple in Derby, KS. I read on the Derby Informer that they’ve been there for over 40 years. That’s always a good sign when a restaurant has been able to stand the test of time. 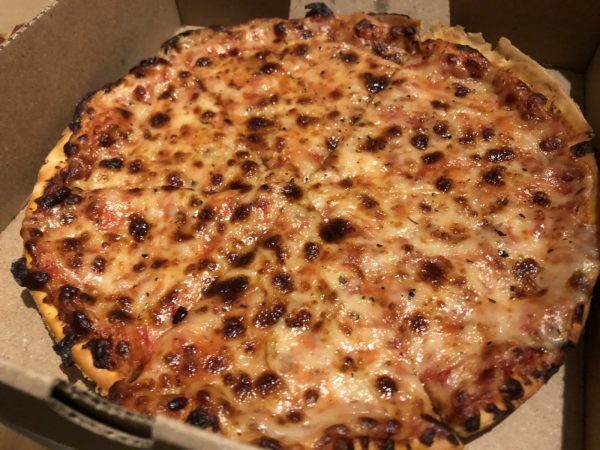 With my cousin in charge of the pizza order, she went with the supreme, all meat, BBQ chicken and cheese pizza along with an order of garlic bread. For the most part we loved it especially my cousin. 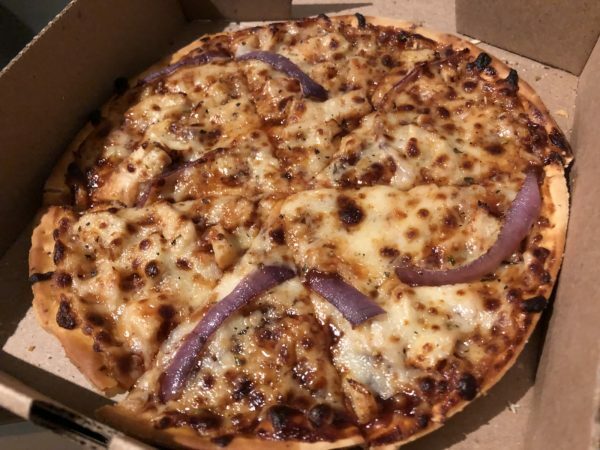 She kept taking bites out of her pizza and asking, “Do you guys like it?”, “Do you guys like it?” while there was still food in her mouth as if she just secretly purchased the business without telling us. I really enjoyed the supreme pizza. It was my favorite of the three. The super thin crust was excellent. It had a nice crisp despite how thin it was. There were also plenty of toppings to go around. The ingredients on it were fresh with the sauce adding a real unique vibrant flavor to it that stuck out. What brought the pizzas even more of spark was the lemon pepper seasoning (I believe its called) sprinkled over the top. 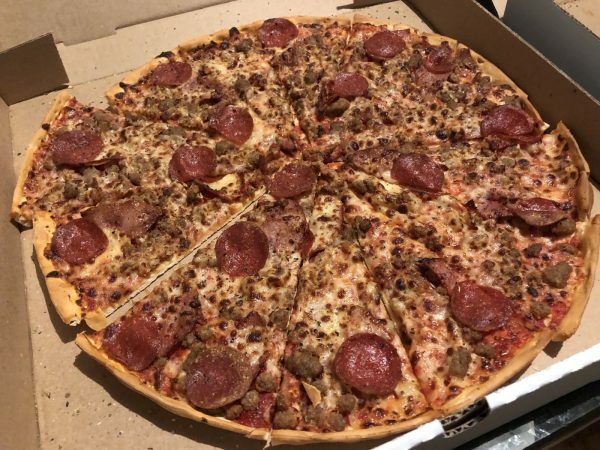 All the girls picked the all meat pizza as their favorite. Between all the meats and the seasoning, there was a little concern it may be too salty but that wasn’t the case. Our biggest nitpick was probably the BBQ chicken. The pizza was disproportionate on the ingredients. Some slices had more onions and there wasn’t much in the way of jalapenos or pineapple on it. 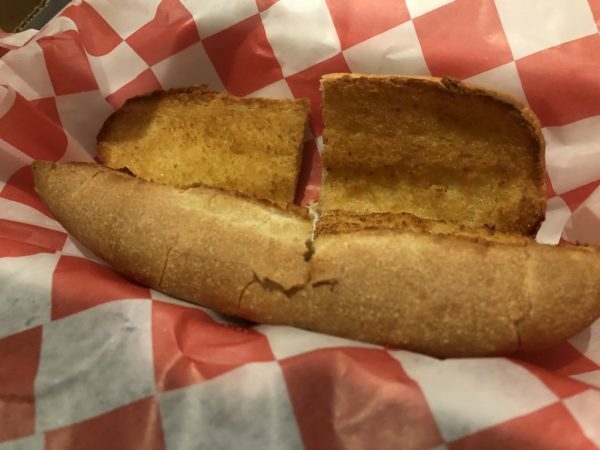 We also ordered some bread to go and was not aware it didn’t come with any sauce at all. It cost 75 cents for marinara but that wasn’t made known while ordering. Regardless we all enjoyed our dinner and declared that Pizza John’s was our favorite pizza place in Derby. Unfortunately my cousin didn’t get a picture of the menu but you can find that here.